430 stainless steel is one of the earliest development of ferritic stainless steel, mainly used in automobiles, home appliances and other industries. Cold-rolled 430 stainless steel plate contains a large number of defects can not be directly used, need to soften by recrystallization annealing. At present 430 ferritic stainless steel cold-rolled plate annealing is divided into low-temperature annealing and high-temperature continuous annealing two. High temperature continuous annealing is the main cold-rolled sheet annealing process due to its low energy consumption and short production cycle. However, due to the high annealing temperature during continuous annealing, precise control of the entire annealing process is required. 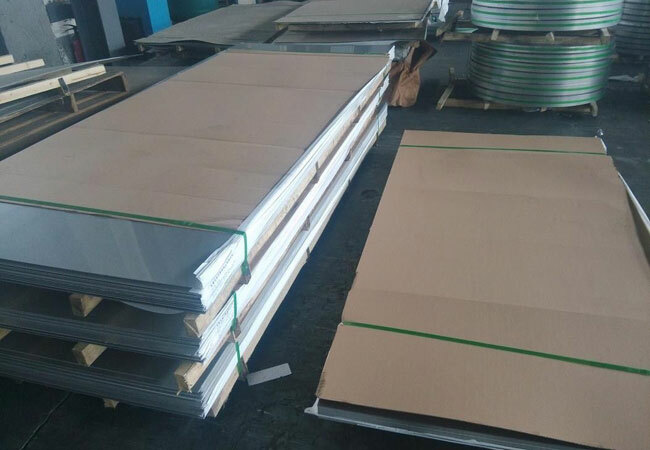 For the 430 stainless steel sheet,because of the chromium content, also known as 18/0 or 18-0. compared with 18/8 and 18/10, containing slightly less, the hardness decreases accordingly. 430 stainless steel sheet has the ability of oxidation resistance to corrosion, but intergranular corrosion tendency. 430 stainless steel wires or rods are widely used in axis.Bedises,430 stainless steel sheet is a ferritic stainless steel, safe and non-toxic, widely used in ingredients tableware. From the above,because stainless steel material has many desirable properties required for building materials, it can be said to be unique in metal, and its development continues. In order to make stainless steel in the traditional application of neutral better, has been improving the existing type, and, in order to meet the strict requirements of advanced construction applications, the development of new stainless steel. Stainless steel has become one of the most cost-effective materials for architects because of its continuous improvement in production efficiency and continuous improvement in quality. Stainless steel sets performance, appearance and use characteristics in one, so stainless steel material will remain one of the world's best building materials.